In addition to uninstalling, you can also use UnInstaller`s comprehensive "Before" and "After"comparisons to monitor and identify the secret activities of any program - for example hidden files and Registry keys. Just take a snapshot, run the application that you want to monitor and then take another snapshot. UnInstaller then compares the snapshots and shows you all the changes the program has made anywhere on your system. Monitor , remove and uninstall windows applications completely. Uninstall programs easily and completely! Track and monitor all changes to your registry and hard drive. Qweas is providing links to Ashampoo UnInstaller 4 4.0.20 as a courtesy, and makes no representations regarding Ashampoo UnInstaller 4 or any other applications or any information related thereto. Any questions, complaints or claims regarding this application Ashampoo UnInstaller 4 4.0.20 must be directed to the appropriate software vendor. 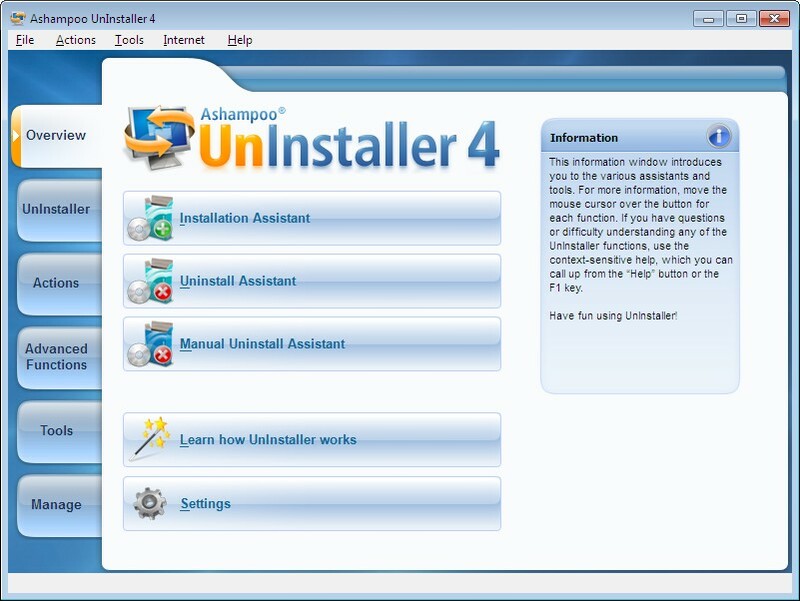 You may click the publisher link of Ashampoo UnInstaller 4 on the top of this page to get more details about the vendor.